And how is this related to education you might ask? Well simply put they are good for your brain and learning. Nuts can improve concentration and cognition skills and even prevent neurological disorders. A study shows, that regular intake of nuts over several years results in sharper memory and slows down mental decline. Nuts are full of important nutrients such as healthy fats, antioxidants, and vitamin E, all of which are good for brain health. Walnuts are particularly good for learning and memory functions. They have a very high concentration of DHA — a type of omega-3 fatty acid. DHA is one of the best fuels of your brain. In short, on October 22nd we go nuts for brain health. 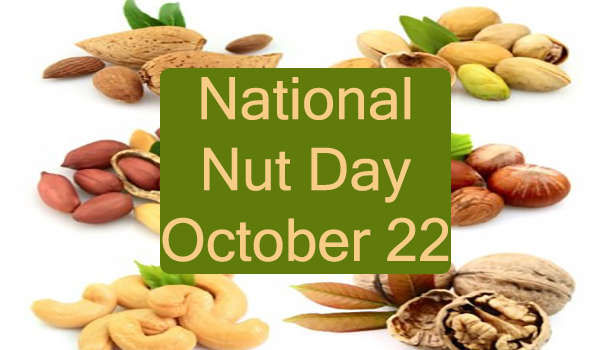 This entry was posted in Monday posts, Seasonal Events, Tips and tagged ADD-ADHD, DHA, National Nut day, October 22nd.